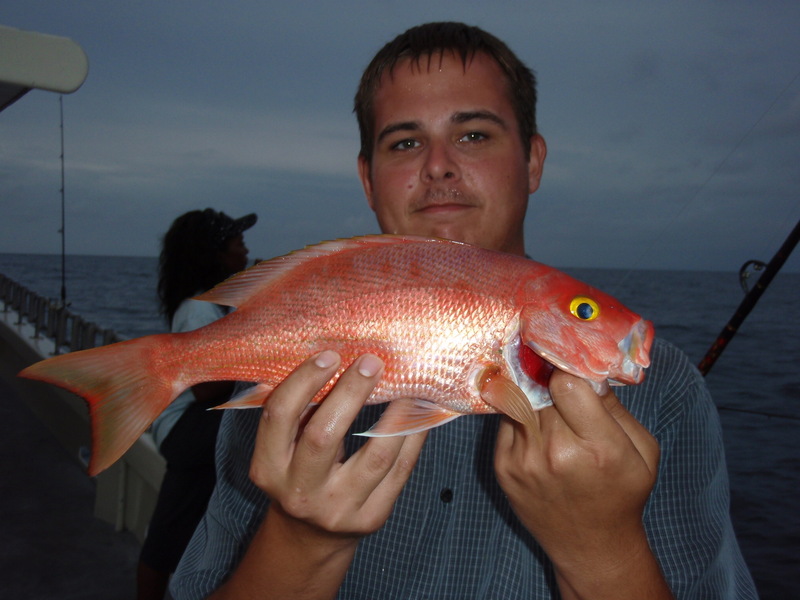 Nightly fisherman and VIP angler Mark shows a tasty Yellow-eye Snapper caught during an evening trip aboard the Lady K. These fish are generally found in deep water but this particular one was caught in 80 feet of water. 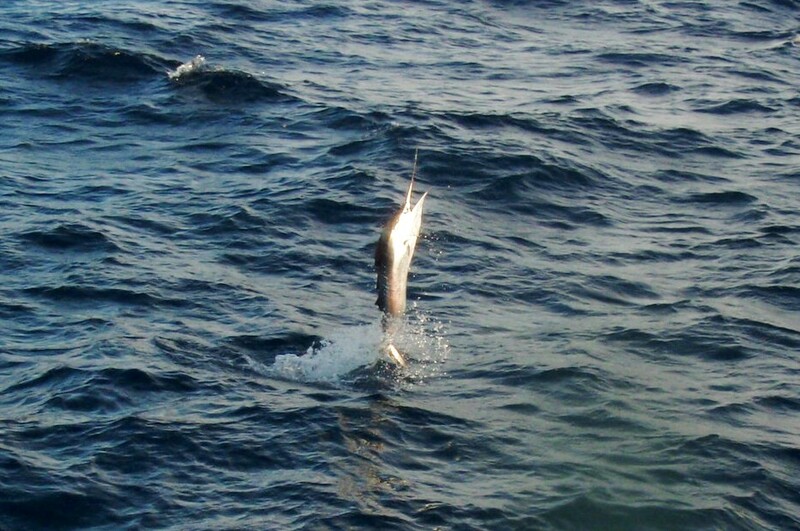 Mark also caught King Mackerel, Bonito and had a few other large fish on during a recent night trip. 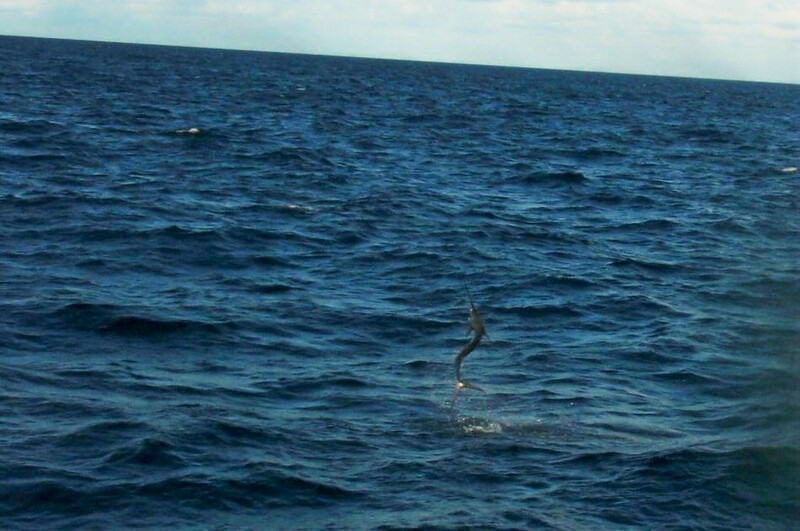 This is also the time of year that the anglers aboard the Lady K have an opportunity to witness a Sailfish free-jumping or even hook-up on one of these pelagic acrobatics. 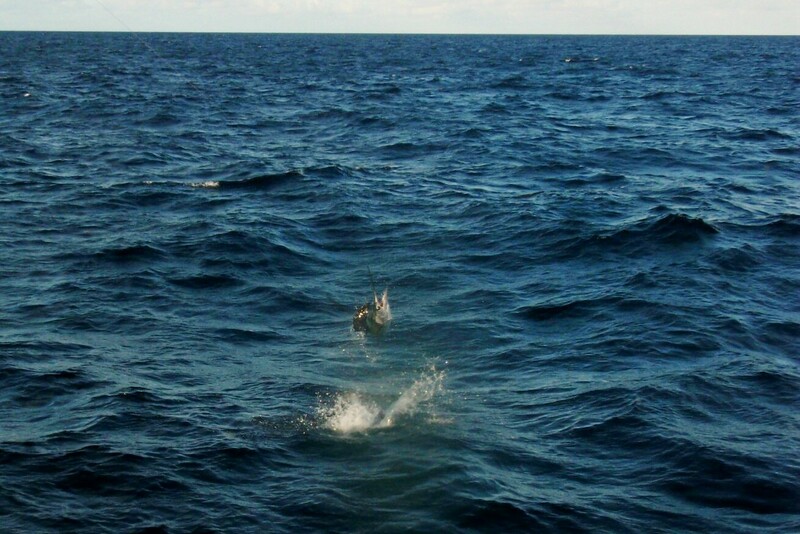 Enjoy the next series of photos taken of a sunset Sailfish hooked by Mark, the fish frayed through the leader just shy of coming alongside the Lady K for more photos and being released………..